Looking for something yummy but different from the usual breakfast? 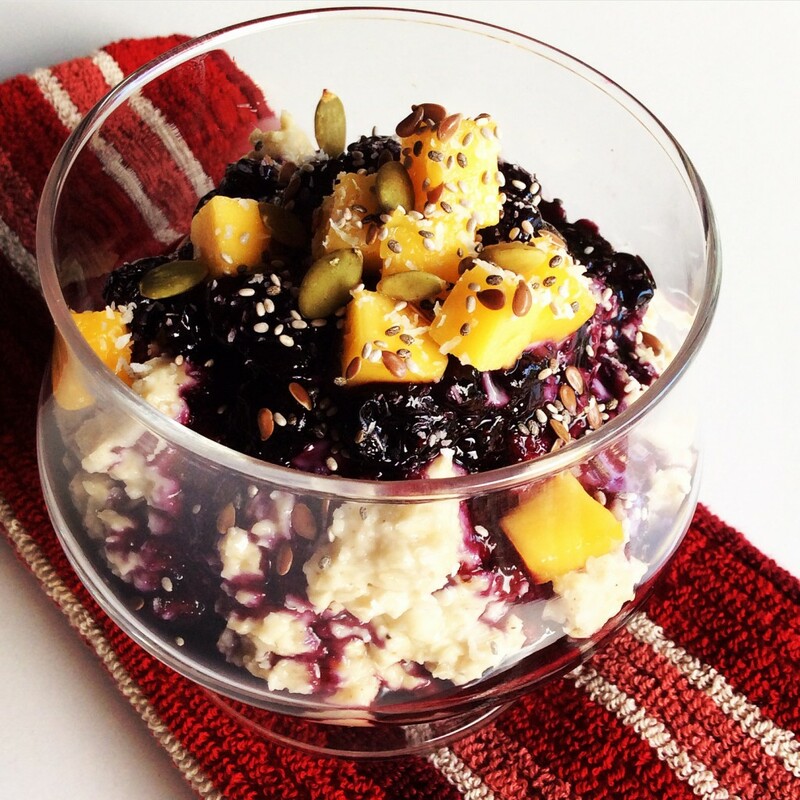 This porridge recipe uses cashews instead of oats. For a delicious change, try this cashew & coconut porridge. Place all ingredients into a food processor and process until almost smooth – leave a little bit of chunky bits for texture. Add blueberries and water into a small saucepan & cook on medium-high heat until the berries have soaked up half the water. Add the lemon juice and the sweetener, stir well and cook until thickened to your preference stirring occasionally. In 2 or 3 serving bowls, evenly divide the porridge and then top with the berry compote, extra mango and if desired some mixed seeds e.g. linseeds / flaxseeds, chia seeds and pumpkin seeds. on. You’ve done a formidable activity and our whole neighborhood will likely be thankful to you.